Yes the sun-soaked capital has an arts scene and outdoor adventure, however the drinking and dining culture is just as impressive. Restaurants meet pretty riverside gardens and man-made beaches. 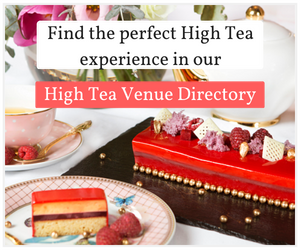 There are so many high tea venues to choose from, so we have done the hard work and put together a list based on our favourites. Us contributors at High Tea Society give our reviews a star rating and these are the top-rated reviews. This venue with its stunning floral bouquets is inspired by The Peninsula Hotel in Hong Kong. The Stamford takes cue from a colonial past and offers a high tea service fit for the Queen. In regards to food we particularly enjoyed the crispy, non-greasy chicken curry puffs. 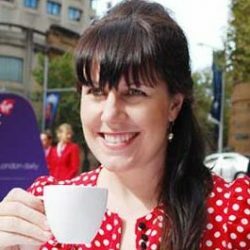 The glamorous Rydges Hotel in Southbank is ideal for tea lovers. Edibles also pleasantly surprise. Take the croissant, which is served with truffle and eggs – a lovely twist on an old favourite. Wow factor with a capital W. Forget what you know about high tea, the W Brisbane Hotel is about to challenge everything you thought you knew. As soon as the ‘W’ shaped stand is placed out in front of you – you know there is going to be nothing traditional about this experience. Australia’s premiere W Hotel has shaken things up – and I think you’ll be pleasantly surprised. High Tea at the Lab is a decadent affair, with a glorious backdrop of old-world elegance; The Treasury Brisbane is an experience to be savoured. If indulging in High Tea is one of your favourite past times, then add High Tea at The Lab in the stunning Treasury Hotel Brisbane to your must-do list, considered one of the most generous and great value high teas in Brisbane. Discover why this establishment was named one of the top five places to take high tea in Australia by Vogue Living. Situated in the iconic heritage listed Brisbane Arcade, this high tea is truly an experience of the senses. This setting is modern and minimalistic, full of natural light with floor to ceiling windows that showcase Brisbane city. While everything is sensational we particularly took to the ribbon sandwiches. The honey roasted turkey and pumpkin with cranberry sauce was a pleasant surprise. Here you can relax on the verandah while enjoying a High Tea for brunch, lunch or afternoon tea. Savouries include a delicious Chicken liver parfait on lavosh and Pumpkin with labneh tart. Desserts are all impressive however a treat that stands out and would excite any chocolate lover is the freshly baked Lindt choc chip cookie. Unlimited non-alocholic beverages are part of the high tea and these include: tea, coffee, soft drinks, juice and mineral water. Looking for more suggestions? 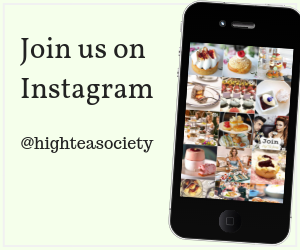 Then search the High Tea Society Venue Directory.